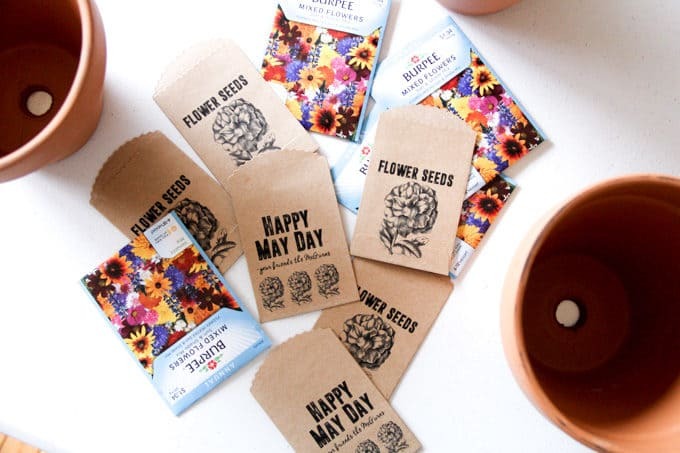 Last week I shared our May Day baskets from last year. 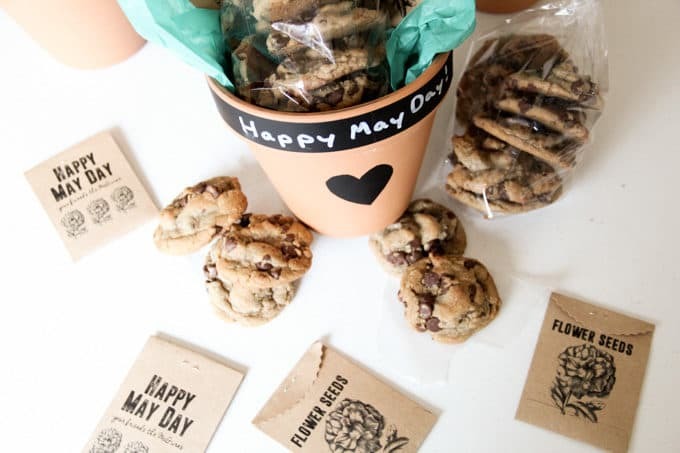 This year I’m actually ahead of the game, and already have our May Day baskets ready to hand out! 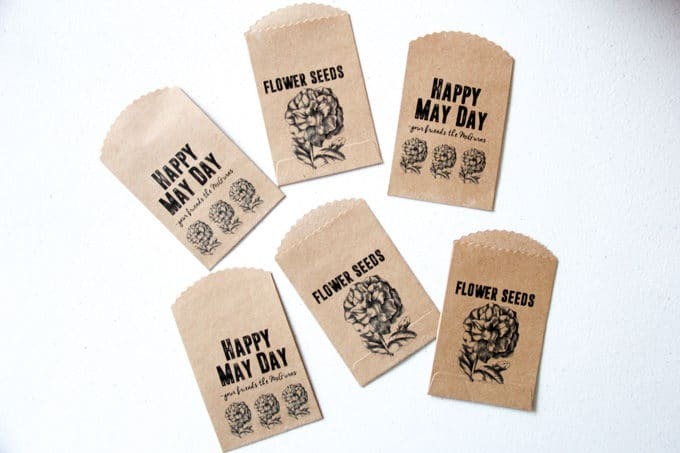 May Day is one of my favorite days of the year! I have so many great memories as a kid of delivering goodies to our friends doorsteps and trying to run away before we could get caught! Now I love carrying on the tradition with my boys! 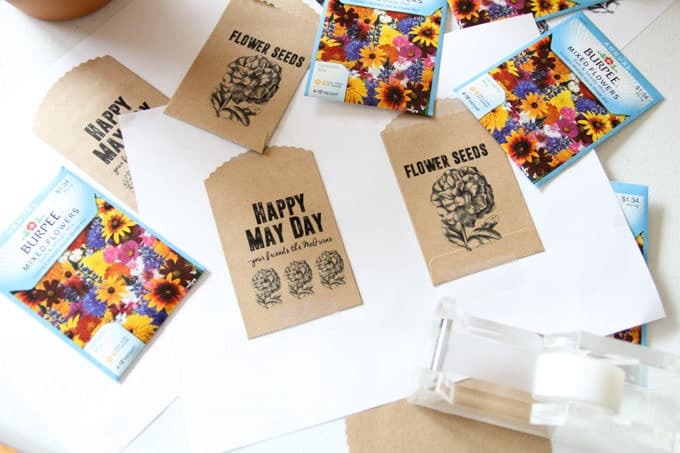 This year I decided to do something special with the seeds and make these seed packets. First I taped these envelopes onto this printable that I created. **This post contains affiliate links** I had these in my stash, but I found some very similar envelopes on amazon. Then I just ran them through my printer. Then I would remove them, flip them over, and run them through the printer again. This is how I was able to print on both sides of the envelopes. 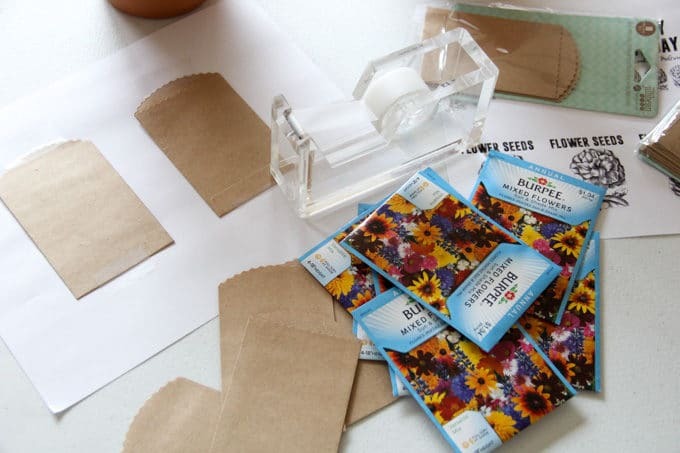 I just transferred the mixed flower seeds from the Burpee packets into my printed envelopes. 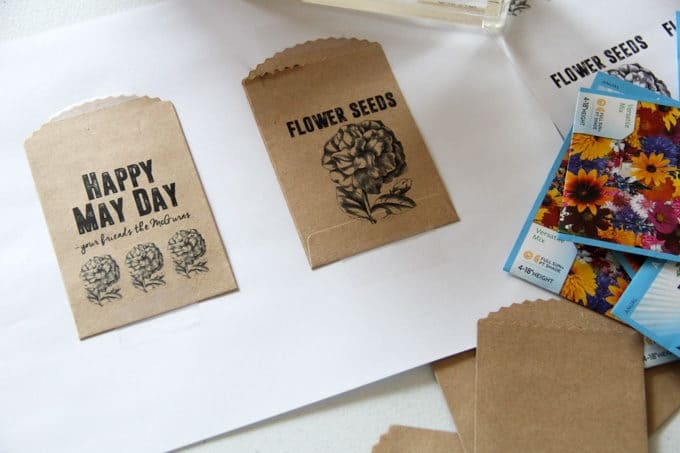 I’m providing a link to the printable for the flower seed packets at the bottom of the post! Obviously I removed the “From your friends the McGurns” so that you can personalize it however you’d like! 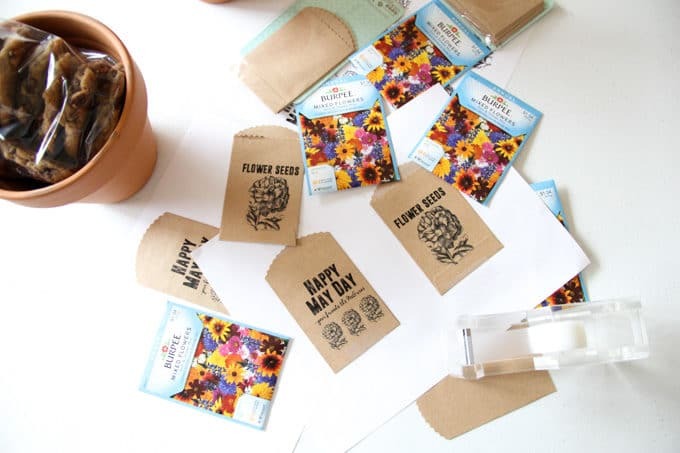 If you wanted to only print the “Flower Seed” side of the envelopes you could use them for any time of the year. 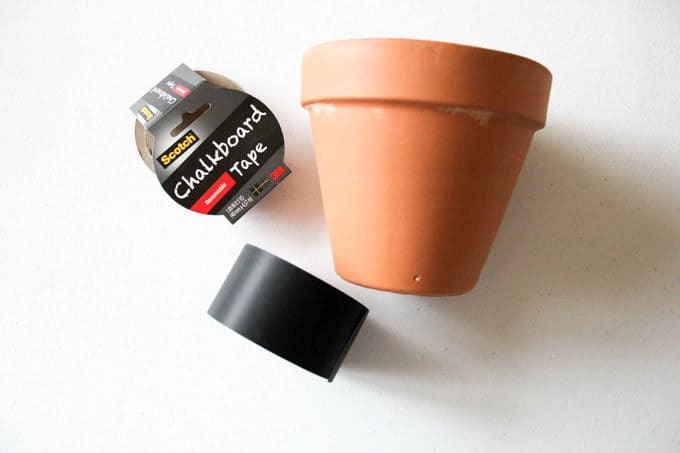 I’ve been holding onto this Scotch Chalkboard tape for a while, and I decided it would be fun to add a chalkboard element to the flower pots. I just cut the tape in half and went around the top of the pot with it. I also cut a little heart out of the tape. 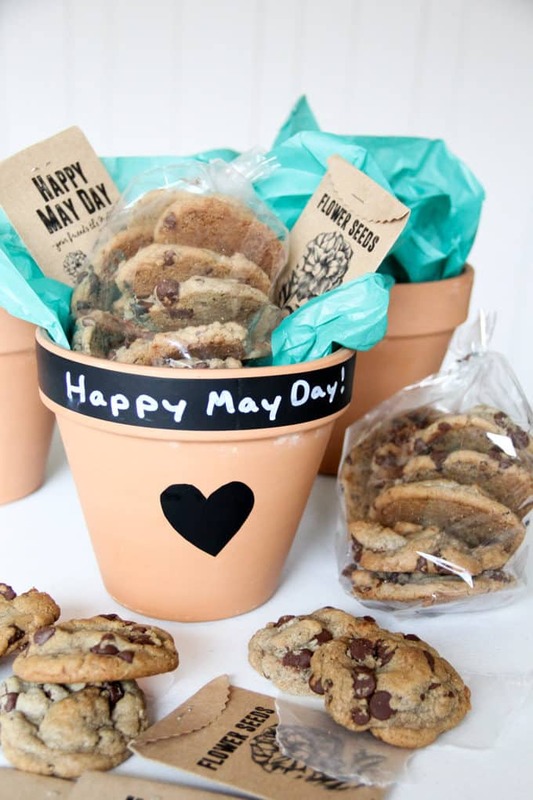 It wouldn’t be a May Day basket from me without our famous chocolate chip cookies in them. 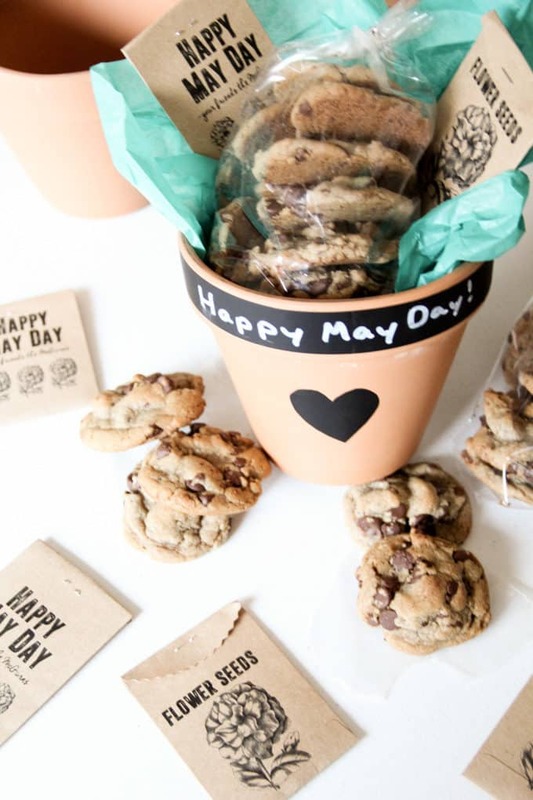 On May Day we’ll drive around town to each of our friends houses and place one of these pots on their doorsteps and then hopefully drive off before we get spotted! 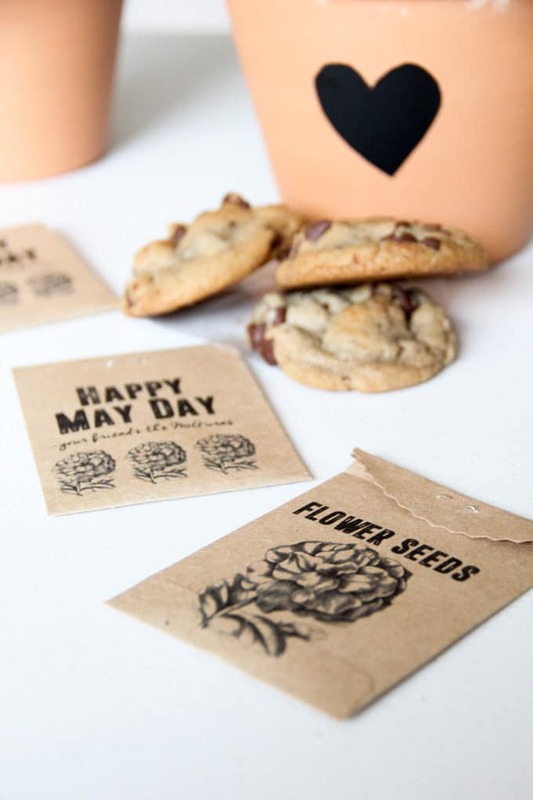 Then long after the cookies are finished our friends will have their flowers as a reminder of our friendship! 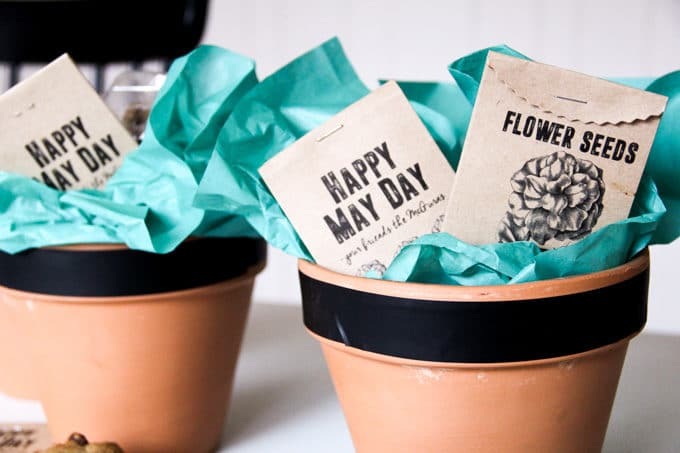 Because the tape is chalkboard tape they’ll also be able to write whatever message they’d like on their flower pots after May Day! I think I’ll even throw a piece of chalk into each pot! 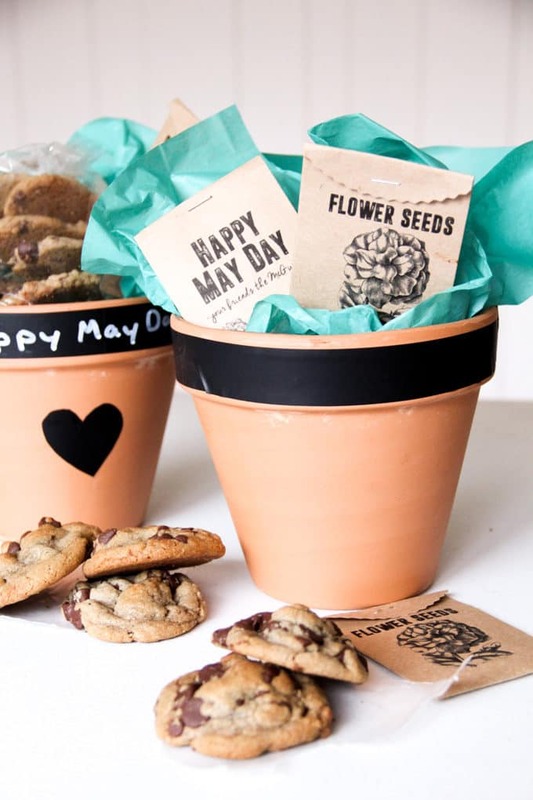 May day baskets don’t have any specific rules, just that you’re delivering something special to people you care about! It can be flowers, candy, baked goods, little toys, really anything you want! 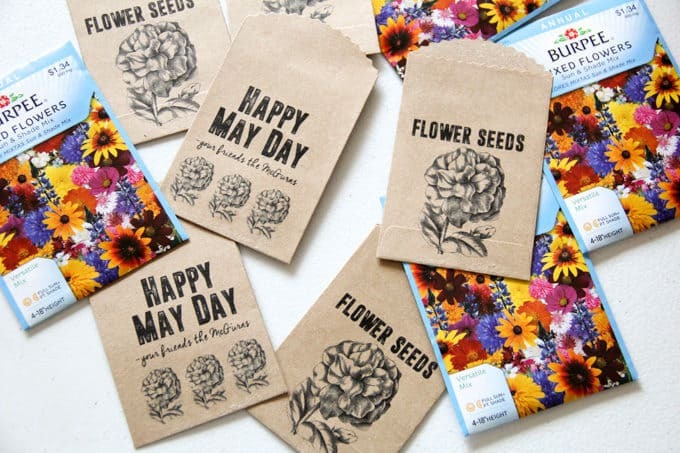 I hope that this post has inspired you to celebrate May Day! 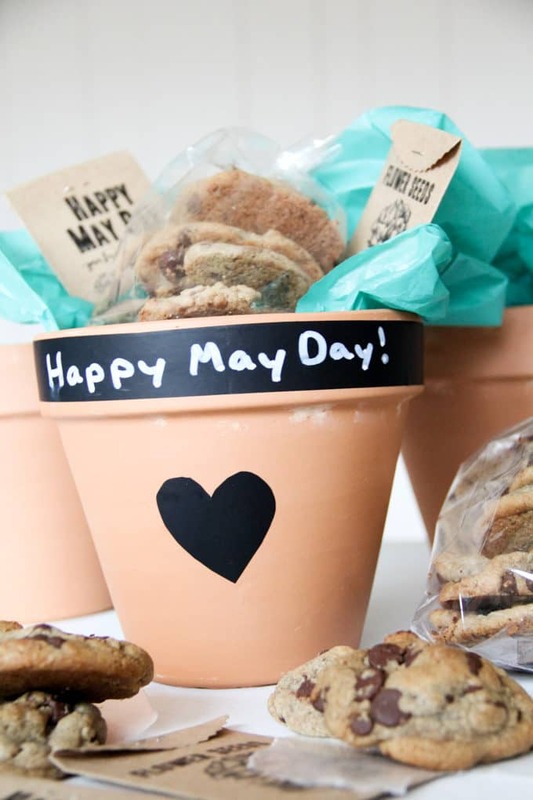 Subscribe to have this great May Day Printable e-mailed to you! Success! Now check your email for your free Printable!